February turned out to be a slow month for Middle East carriers, which recorded a 0.8 per cent decline in international air travel demand compared to a year ago. According to figures released by the International Air Transport Association (Iata), it was the only region to report a drop year-over-year. Middle East carriers reported a capacity increase of 2.9 per cent in February. However, load factor fell 2.7 percentage points to 72.6 per cent. Broadly speaking, passenger volumes of the region’s airlines have been moving sideways for the past 12 - 15 months, the Iata report said. European carriers showed the strongest performance for a fifth consecutive month in February with international passenger demand increasing by 7.6 per cent, compared to a year ago, followed by Latin American airlines (up 4.3 per cent), Asia-Pacific and North American airlines (both up 4.2 per cent), African airlines (up 2.5 per cent), and Middle East carriers. 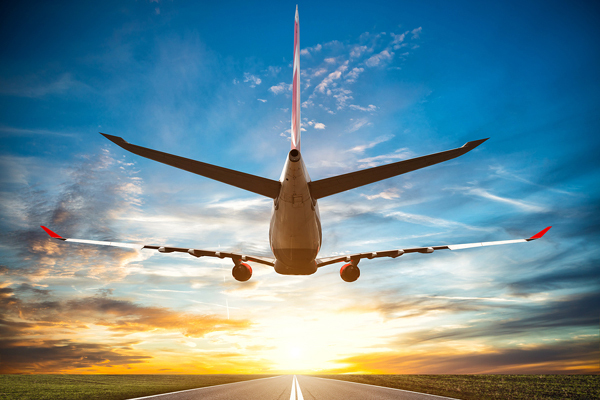 Overall, international passenger demand in February rose 4.6 per cent compared to February 2018, which was a slowdown from the 5.9 per cent growth in January. Capacity climbed 5.1 per cent, and load factor dropped 0.4 percentage point to 79.5 per cent. Domestic air travel demand rose 6.4 per cent in February compared to February 2018, down from 7.4 per cent annual growth in January. All markets except Australia reported increases in traffic, with India recording its 54th consecutive month of double-digit percentage growth. Domestic capacity climbed 5.8 per cent, and load factor edged up 0.5 percentage point to 82.4 per cent. The global passenger traffic results for February showed that total revenue passenger kilometres (RPKs) rose 5.3 per cent, compared to February 2018. This was the slowest rate of growth in more than a year but still in line with long-term demand trends. Monthly capacity (available seat kilometres or ASKs) increased by 5.4 per cent, and load factor slipped 0.1 percentage point to 80.6 per cent, which is still high by historic standards.